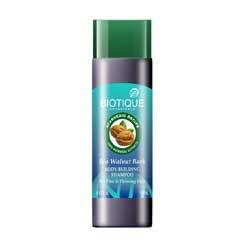 Bio - Walnut Bark, Bio- Kelp, Bio - Henna Leaf, Bio - Musk Root, Bio - Green Apple, Bio - Soya Protein, Bio- Margosa, Bio - Flame of the Forest, Bio- Bhringraj, Bio - Mountain Ebony, Bio - Water Cress, Bio - Henna Leaf Pack. Hair Building, Cleansing formula for greater volume, Substance and thickness. 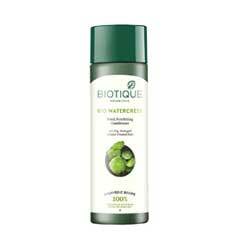 Bio Walnut Bark - Fresh Lift Body Building Shampoo For Fine & Thinning Hair. Intensive Hair Growth Treatment. Kelp is a cold water seaweed high in vitamins, nutrients and minerals, coveted throughout the ages for its hair growth and strengthening properties. This nourishing shampoo is a blend of pure kelp, natural proteins, peppermint oil and mint leaf extract, to gently cleanse hair and invigorate the scalp for fresh growth and healthier shine. Bio Kelp is a cold water seaweed high in vitamins, nutrients and minerals, covered throughout the ages for its hair growth and strengthening properties. This revitalizing conditoner is a blend of pure kelp, natural proteins, peppermint oil and mint leaf extract, to condition hair for stronger, thicker growth and healthier shine. Colouring Cleanser for Hennaed Hair. Contains Henna which thickens the hair and add a gloss. Can be used on hennaed hair to maintain the henna colour. It retexturises and adds body and fullness to hair. Prevents hairfall. Therapeutic Pack for Hair Regrowth. An original formula. A unique combination of herbs from ancient Ayurveda which promote hair growth. 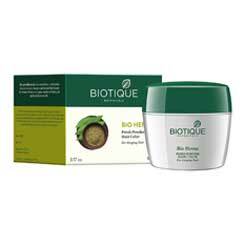 Contains Musk Root, Bael, Liquorice and Nutmeg. 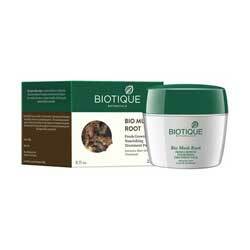 which help to rejuvenate the hair and leave it in a superb condition. Invigorates and revitalises the scalp and adds body to hair. It immerses hair and scalp in natural minerals and organic riches and leaves even dry or chemically treated hair luxuriously full and alive. Fresh Balancing Shampoo For Color Treated & Permed Hair. Soya Protein has been a major source of nutrients for over five thousand years, providing all the essential amino acids for human nutrition. This rich shampoo is a blend of pure soya bean protein, berberry and wild tumeric extracts to cleanse hair without disturbing its natural pH balance. Prevents color fade. Protects a perm. Promotes healthy shine. Anti Dandruff Cleanser. The natural sap of the Margosa tree along with Euphorbia and Bhringraj help to eliminate dandruff and scalp infections. Deep cleanses scalp and hair, leaving hair lustrous and manageable. Fresh Shine Expertise Oil For Color Treated & Permed Hair. Flame of the forest is a beautifully brilliant tree that produces medicinal scarlet flowers when it blooms. 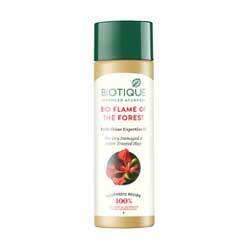 This luxurious oil is a blend of flame of the forest flowers and extracts of hibiscus to promote healthy hair shine and body. Fortifies follicles against damage. Keeps color and perm in place. Leaves hair full of life and luster. 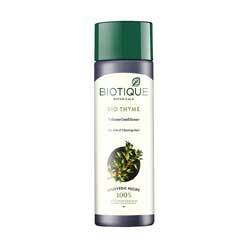 Therapeutic Oil for Intensive Hair Growth Treatment. Bhringraj is an ancient herb rich in proteins, used for centuries to prevent hair loss and greying. This intensive formula features pure bhringraj, butea frondosa, amla and centella blended with coconut oil and the healthfulnes of goat milk to help treat alopecia and other causes of hair loss. Nourishes the scalp and strengthens hair strands to encourage fresh growth and help diminish greying. 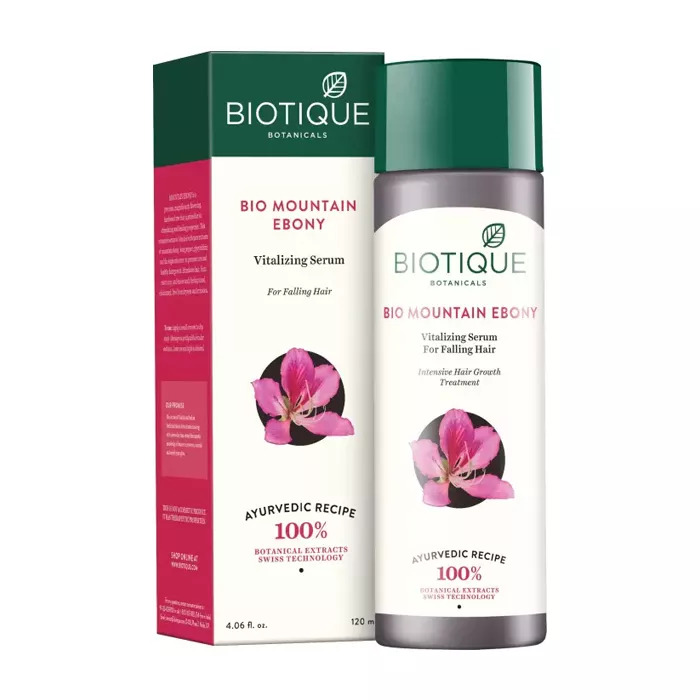 Intensive Hair Growth Treatment Mountain Ebony is a precious, magnificently flowering , hardwood tree that is prized for its stimulating and healing properties. This intensive serum is blended with pure extracts of mountain ebony, long pepper, glycyrrhizin and the euphorbia tree, to promote new and healthy hair growth. Stimulates hair, from root to tip, and leaves scalp feeling toned, exhilarated, free from dryness and irritation. Conditioning and Colouring Hair Powder. A purely natural hair treatment containing henna leaves along with Terminalis. Arjun, Mango Kernel and the Margosa leaf. This combination has been traditionally used to give shine and body to hair in addition to giving it a rich brown colour. The natural minerals and organic riches leave even dry or chemically treated hair luxuriously full and alive. After Shampoo Conditioner for Additional volume to hair. Contains Thyme along with Lavender oil, Peppermint oil and the natural sap of the Berberris tree to condition hair and scalp. 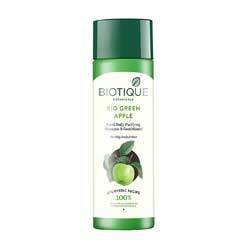 Helps revitalise scalp and adds volume to hair. Stops hair loss.